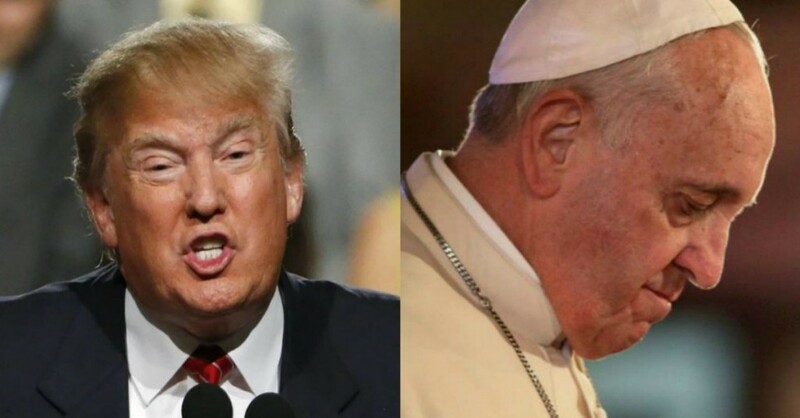 Presidential candidate Donald Trump has no problem disagreeing with anyone — even if it’s the pope. In an interview on CNN’s “New Day” Thursday, Trump responded in his typical blunt fashion to Pope Francis’ statements about climate change. The pope said in a speech at the White House Wednesday that climate change was a “problem that can not be left to a future generation,” according to CNN. “Look, it’s weather. We have bad floods. I can’t watch the evening news anymore. Every time you turn on the evening news, they show there’s a big rain storm, there’s a tornado, there’s this,” he said in the interview. “I believe in clean air, immaculate air. I believe in clean water, all of those things, but I don’t think we can destroy our country,” Trump said. “If America does have the problem of climate change … it’s going to be of the nuclear form because we have incompetent politicians watching over us when it comes to nuclear weapons. That’s our big problem,” he added.